since 2009 to connect with people across the Google Display Network based on their interests. Since then, we've added new and more powerful interest-based capabilities: affinity (for enthusiasts), custom affinity (for niche segments), and in-market audiences (for ready to buy shoppers). As these more sophisticated audience tools offer advertisers more flexibility and control, “Other interests” will no longer be a targeting option for new and existing audience campaigns starting on January 15, 2015. Affinity audiences: Reach TV-like segments at scale to drive brand awareness. Kraft used affinity audiences to reach cooking enthusiasts to build awareness for their new ‘Fresh Take’ brand. Custom affinity audiences: Find niche segments that you custom-tailor for your brand. Electronic Arts used custom affinity audiences to engage fans of specific NFL teams in their recent Madden GIFERATOR campaign. They created 32 custom affinity audiences, one per NFL team, to reach fans of specific teams with display ads timed to the real-time action on the field. 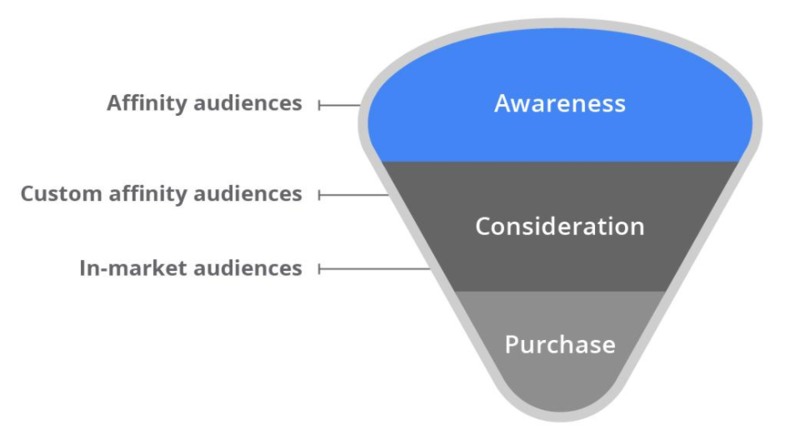 In-market audiences: Reach consumers while they’re actively browsing, researching or comparing products related to a category you choose. For example, the online car dealership Autobytel uses in-market audiences to reach customers actively researching specific models, price comparisons, and consumer reviews, as opposed to casual car enthusiasts. Additional details about this upgrade will be shared on this blog and in email communications to advertisers undergoing this change. To learn more visit the AdWords Help Center. Advertisers have been using interest category marketing since 2009 to connect with people across the Google Display Network based on their interests. Since then, we've added new and more powerful interest-based capabilities: affinity (for enthusiasts), custom affinity (for niche segments), and in-market audiences (for ready to buy shoppers).